Frank Burkitt has been performing as a singer songwriter and guitarist for over 10 years and has previously toured New Zealand, Australia, the US and the UK. His music is not confined to one genre but it does have a very unique sound and feel at its core. Although heavily influenced by blues, country, bluegrass, swing and Scottish folk – it is good old fashioned song-writing that has really underpinned his musical career. Intelligent and thought provoking lyrics are served up alongside music that is as emotive as it is foot-tapping. 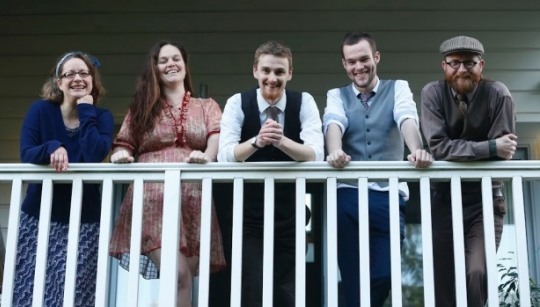 The band are Cameron Dusty Burnell (Mandolin), James Geluk (Double Bass), Krissy Jackson (Fiddle) and Kara Filbey (Backing vocals/Percussion). They have recently completed a 27 gig national tour of New Zealand, promoting their new album ‘Fools and Kings’.